Diva Milano mei tais are produced from Diva Milano wrap fabric. They are designed in Italy and produced in Portugal. padded belt and leg openings (Toddler). 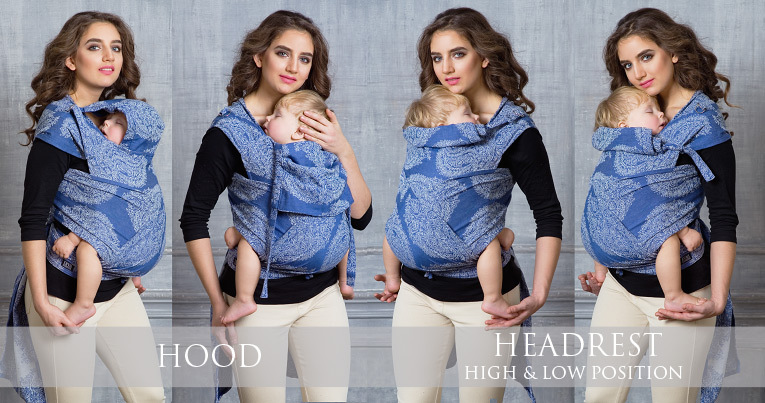 All mei tais have hoods which can be fixed with 2 half-rings on each shoulder strap. 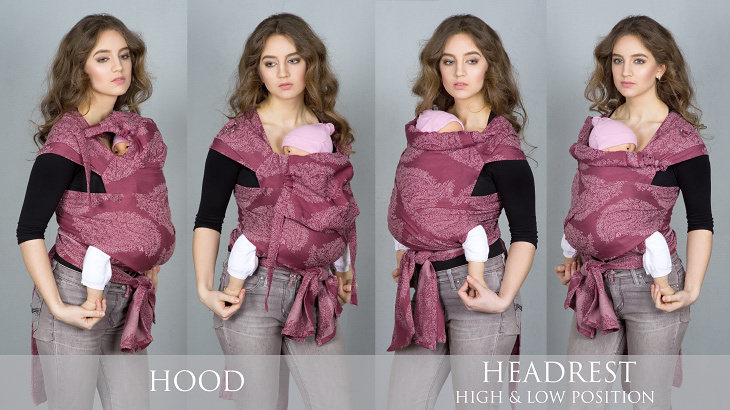 You can use a hood as a headrest with 2 possible positions. When the headrest is fixed in the upper position, it serves as a mei tai back extension so can be recommended especially for toddlers. Size L can be produced by request, with a slight mark-up (please contact us by e-mail info@diva-milano.com for details). Diva mei tai have a nice carton pack and an instructions leaflet. meets European Standard EN 13209-2, approved August 2005.